We teach to the AHA (American Heart Association) standard. Classes are available in Rescue California. We offer three different CPR & first aid classes. 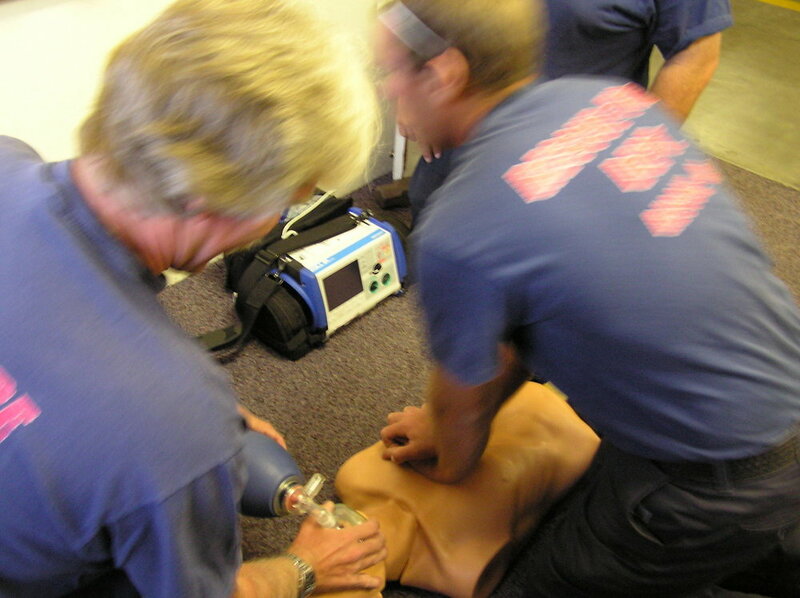 This course covers adult/child/infant CPR and how to operate an AED. This class is for aspiting EMT's, paramedics, employees of healthcare facilities, and firefighters. Learn 1-person technique for adult, child, infant CPR, AED and barrier use. This course is designed for lay-persons and workplace requirements. Learn how to treat the most common childhood injuries and how to handle childhood emergencies. Ideal for anyone watching children, and will satisfy the First Aid and CPR mandates for daycare providers. Classes are $50 per person, and can usually be arranged around your schedule. Fill out the form below, and someone will get in touch with you to schedule a class.